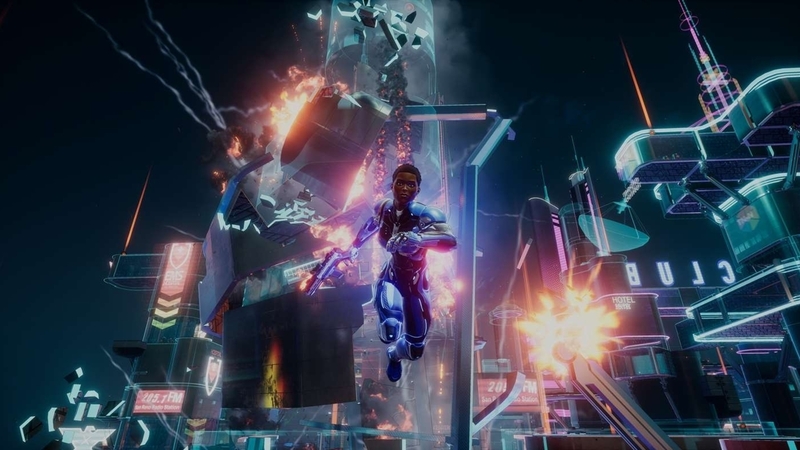 “Players will soon be able to take full advantage of the Xbox platform’s Party features so they can experience the fully destructible environments in Crackdown 3 Wrecking Zone with friends,” a Microsoft spokesperson told Eurogamer this morning. Crackdown 3 is, essentially, two different games and comes on two different clients. The first is the campaign, which you can play co-op with another player. The second is Wrecking Zone, a 5v5 multiplayer competition. The campaign was primarily developed by UK company Sumo Digital. Microsoft lists the developer of Wrecking Zone as Elbow Rocket. However, many other studios have been involved with its troubled development over the years. Wrecking Zone uses Azure, Microsoft’s cloud computing service, for destruction calculations. This means, Microsoft has said, the experience of destruction will be the same on all platforms (day one Xbox One versus Xbox One X, for example).